Agriculture is both a “producer” and a “consumer” of energy. Since useful energy is in ever shorter supply and energy use is a pollution factor solutions are needed for enhancing production while reducing inputs. To this end it is necessary to get accurate data and adopt unequivocal analytic procedures permitting to compare and rank contrasting agricultural systems. 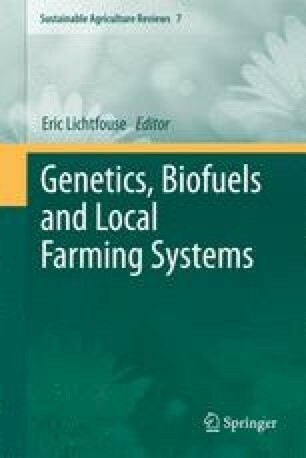 In this report we show that two basic points are frequently mishandled in elaborating energy balances in agriculture: (1) the energy input of human labour and (2) the energy requirement for producing and applying organic manure. We show that the energy in human labour is often underestimated, probably at about 1/100 of its real value. It is also demonstrated that obtaining nitrogen from green manure is not less energy demanding than from synthetic fertilizers, opposite to the general belief. The correct evaluation of such two items would radically change the results usually obtained when working out energy balances, particularly when comparing organic and non-organic systems. Some scientific papers flawed with wrong assumptions and consequently conveying wrong information are listed. Spreading such misinformation seriously threatens the progress towards the sustainability of agricultural systems, since human labour and green manure are heavily conditioning energy balances, that in turn impact social, economical and environmental sustainability.